Chicago's love affair with Frankenstein continues with Remy Bumppo's rendition of Shelley's creepy classic. I'll be out for the press performance October 16, so check back soon for my full review. Chicago's having a monster of an anniversary celebration with 4 productions on stage and film versions at The Music Box. Remy Bumppo Theatre Company is pleased to announce that FRANKENSTEIN will be EXTENDED by popular demand. The production will now play October 11 – November 17, 2018 at Theater Wit, 1229 W. Belmont Avenue in Chicago. The Press Opening is October 16, 2018 at 7:00pm. FRANKENSTEIN will feature Remy Bumppo Core Ensemble Member Eliza Stoughton with Claire Alpern, Zachary Scott Fewkes, Jyreika Guest, Steve Lords, Ben Miller, Frank Nall, Jose Nateras, and Michael Turrentine. This production will also feature Remy Bumppo Producing Artistic Director Nick Sandys and Remy Bumppo Core Ensemble Member Greg Matthew Anderson alternating the roles of Victor Frankenstein and the Creature each performance. Mary Shelley’s revolutionary horror classic will be shocked to life in Nick Dear’s adaptation directed by Ian Frank. Retold from the abandoned creature’s point of view, this taut muscular version will raise urgent questions about scientific responsibility, parental neglect, and the nature of good and evil. Remy Bumppo Theatre Company’s production of FRANKENSTEIN will be performed October 11 through November 17, 2018 at Theater Wit on 1229 W. Belmont Avenue in Chicago. 2018-2019 Subscriptions and single tickets are on sale at www.RemyBumppo.org or by calling the Theater Wit Box Office at 773.975.8150. Production made possible in party by Presenting Sponsor, Geoffrey A. Anderson and 2018 – 2019 Season Sponsors Nancy and Gene DeSombre and Brenda and James Grusecki. Cast (in alphabetical order): Claire Alpern (Gretel/Clarice), Greg Matthew Anderson (Victor/Creature), Zachary Scott Fewkes (William – Cast 1), Jyreika Guest (Agatha), Steve Lords (Klaus/Ewan), Ben Miller (William – Cast 2), Frank Nall (Delacey/M. Frankenstein), Jose Nateras (Client/Felix/Constable), Nick Sandys (Creature/Victor), Eliza Stoughton (Elizabeth), and Michael Turrentine (Gustav/Rab). Understudies: Maryam Abdi, Keith Illidge, Jim Morley, Jeremy Pfaff, Jillian Skale, and Marc Harley Wilson. 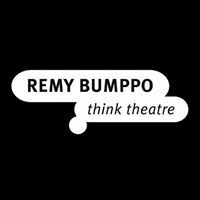 Remy Bumppo challenges our audiences with the intersection of expansive ideas and rich language, often presenting texts that have been sidelined because they may seem too intellectually complex, demanding active intelligence as well as great passion from artist and patron alike. We produce such art in order to advance deeper understanding of the human condition, test commonly perceived notions, and elevate cultural discourse. We then invite audiences to converse directly with the art and the artists, engaging them in one-on-one conversation about the work itself through innovative supplementary programming.